A globalist rat's nest amidst the rise of Asia. Regarding the climate change hoax: The [Australian] PM's Address to the Lowy Institute via The Australian. Regarding US-Australian military integration: "Planners make the case for US bases" via The Australian. Regarding the contrivance of an World Internet Organization to regulate the Internet globally: "The Shadow of Cyber Regulation" via ISN, by Lowy Institute's Jonas Rey. Promoting Australia's commitment to endless war in Afghanistan: "More to do in Oruzgan " via The Sydney Morning Herald, by Lowy Institute Non-Resident Fellow, Dr Rodger Shanahan. Bangkok, Thailand July 5, 2011 - Meet the Lowy Institute. 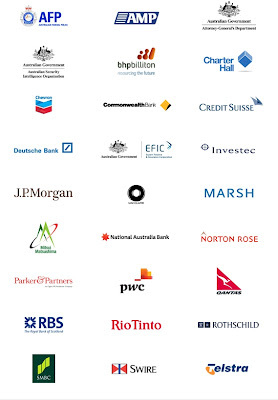 Filled with big business interests, it poses as an "independent international policy think tank," whose objective is to "generate new ideas and dialogue on international developments and Australia’s role in the world." The word "independent" is somewhat confusing, but what is clear is that it is yet another Fortune 500 run policy and propaganda clearinghouse serving not Australia, but rather the global corporate-financier elite. Notable corporate members include JP Morgan, Rothschild, Royal Bank of Scotland, Deutsche Bank, and Cheveron. 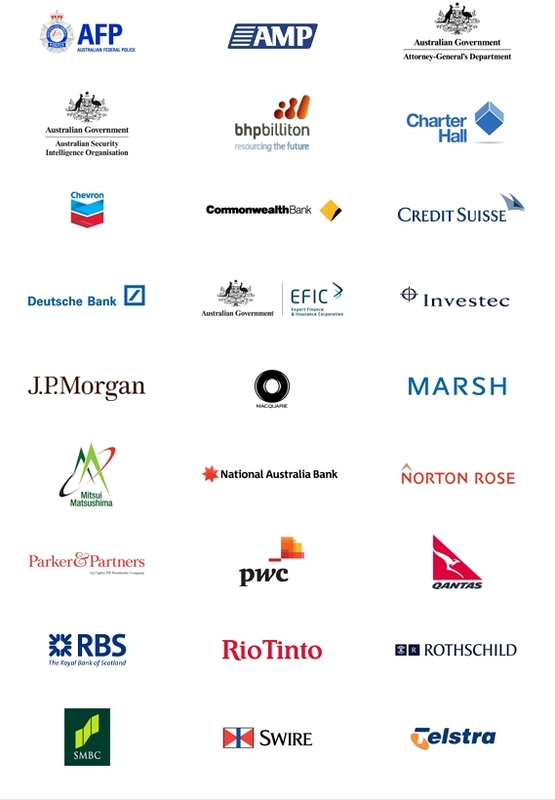 While Australian brands like Qantas, BHP Billiton, and the National Australian Bank appear more "indigenous" in nature, the reality is that their boards, like everything in the globalist realm, are an ongoing game of musical chairs between all of the worlds globalist, multinational corporations. For example, BHP Billiton's board of directors alone features Jacques Nasser, formerly of Ford Motor Company and JP Morgan, John Buchanan formally of British Petroleum and Vodafone, Carlos Cordeiro formally of Goldman Sachs, David Crawford formally of Bank of America, and the list goes on and on. The Lowy Institute's board of directors is something to behold. Sitting at the top, is 80 year-old, accused tax evader, Australian-Israeli Frank Lowy, after whom the institute is named. He currently oversees the Westfield Group, was a board member of the Reserve Bank of Australia, and sits upon the board of directors of the Institute for National Security Studies (INSS) - not of Australia, but of Israel. Joining him is son Peter Lowy, who is also a Lowy Institute board member, a RAND Corporation trustee, and a board member of the Homeland Security Advisory Council - not of Australia, but of the United States. Also on the board amongst several others, is Professor Ross Garnaut of the University of Melbourne as well as Australian National University (ANU), Ian Macfarlane formally of the Reserve Bank of Australia, Goldman Sachs, and Temasek Holdings, Professor Robert O'Neill of the corporate-stacked International Institute for Strategic Studies (IISS), and a former head of ANU's Strategic and Defense Studies Centre. Perhaps most disturbing however is the inclusion of Brookings Institution's Martin Indyk, the co-author of the, frankly speaking, insane "Which Path to Persia?" report where Indyk, fellow Lowy associate Michael O'Hanlon, and others conspired against the nation of Iran to fund known terrorist organizations, engineer fake street protests, buy off members of the Iranian military, and even attempt to provoke Iran into a war it was disinterested in fighting - not for national security, but for what Indyk, O'Hanlon, and others called, "American interests and influence throughout the Middle East." It then appears that the Lowy Institute is nothing more than a collection of banksters, criminal conspirators, and multinational multi-corporate interests. It is an institute of big business, by big business, and for big business. What is alarming is the vast reach it has within Australia's universities and the alleged "free-press." The name Australian National University comes up more than once and various members of Lowy's staff are also contributors to both Australian and international papers and television networks. Also alarming is the "cross pollination" reflected in Lowy's staff between the institute and other notorious corporate-funded corporate-serving organizations like the Brookings Institution, the International Crisis Group, the fraudulent Harvard Belfer Center, and the warmongering Center for Strategic and International Studies. 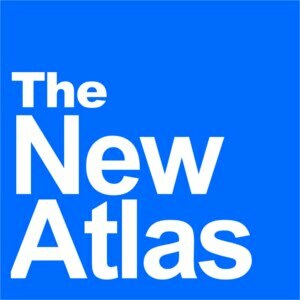 Our People: Ties to globalist think-tanks and the media. Dr. Khalid Koser: Non-Resident Fellow in Foreign Policy Studies at the Brookings Institution. Dr. Michael Fullilove: Non-Resident Senior Fellow in Foreign Policy at the Brookings Institution, Rhodes Scholar, has published articles in The New York Times, the Financial Times, The Washington Post, the International Herald Tribune, Slate, The Daily Beast, the Los Angeles Times, The Christian Science Monitor, The Sydney Morning Herald, The Age, The Australian, the Australian Financial Review, The Spectator, The Washington Quarterly, The National Interest and Foreign Affairs. Whit Mason: International Crisis Group while in Kosovo, then speechwriter for the UN Kosovo mission, and USAID in Pakistan. Paul Kelly: Editor-at-large of The Australian, previously Editor-in-Chief of The Australian. Is a regular commentator on ABC television (Australian Broadcasting Corporation). Dr. Michael Wesley: Non-Resident Senior Fellow at the Brookings Institution. Fiona Cunningham: Interned at the Belfer Center at Harvard University and the International Crisis Group. Fergus Hanson: Fellow at the Center for Strategic and International Studies. The Lowy Institute appears to maintain close ties with all of Australia's prominent universities. The Australian National University, however, is one that is stumbled across over and over again, with Lowy co-hosting events, tapping ANU's professors for research papers, and airing its propaganda under a pseudo-academic light. Additionally, many of Lowy's own members have been drawn from ANU's alumni as well as prominent heads of various ANU departments. Martine Letts: Lowy Institute Deputy Directory, appointed to the ANU Council in 2004. Professor Hugh White: Lowy Institute Visiting Fellow, professor of Strategic Studies at ANU. Also a regular columnist for The Age and the Sydney Morning Herald. Professor Warwick McKibbin: Lowry Institute Professional Fellow, Director of ANU Research School of Economics, and also a Non-Senior Fellow at the Brookings Institution. Dr. Milton Osborne: Visiting Fellow in the Faculty of Asian Studies at the Australian National University. Professor Alan Dupont: Senior Fellow at ANU's Strategic and Defence Studies Centre. The first search result that comes up within Lowy Institute's publication archives is an interesting document titled, "Thai studies in Australia." Under "Specialists Consulted," no less than 9 "specialists" came from ANU, including the notoriously intellectually dishonest Andrew Walker of ANU's "New Mandala" blog. Walker is fond of taking regional corporate agendas and shoehorning them into something resembling that of academia to lend them legitimacy they'd otherwise lack. He is also adept at giving the corporatocracy talking points a decidedly liberal spin, drawing in well intentioned people to consider his "work" when otherwise they'd be revolted. Walker spends his time berating Thailand's self-sufficiency economy, suggesting that encouraging people to be self-reliant agriculturally, the very principle that throughout history has produced the strongest, most resilient nations on earth, somehow excludes them from participating in the "national economy" as well as participating in "electoral democracy." He and his partner, Nicholas Farrelly, post up articles promoting the very worst aspects of the corporate-financiers' NGO creep into sovereign Asia, as progressive and justified. Right on cue, as National Endowment for Democracy-funded "Bersih 2.0" was preparing for mass demonstrations in Malaysia, Walker's "New Mandala" blog posted the following, "The biggest threat – as perceived by the present administration – to Malaysia’s internal security is a demand for free and fair elections." What Walker failed to research and tell his readership, was the fact that Bersih is on record, with organizers themselves admitting to it, having received funds from the National Endowment for Democracy-funded National Democratic Institute, as well as from globalist bankster George Soros' "Open Society" foundation. The threat then, contrary to what was written on "New Mandala" is not "free and fair elections," but rather foreign-funded sedition led by foreign-proxy, Ibrahim Anwar. Walker's "New Mandala" blog also dutifully hits on all the key talking points being pushed by the global corporate-financiers. When an ex-Reuters journalist penned his disingenuous, conveniently timed Wikileaks-based hit piece titled, "Thai Story," Walker was right by his side providing an outlet and badly needed legitimacy for his hackery. But in addition to Walker, there was the Lowy Institute's propaganda mouthpiece, "The Interpreter." After the July 3, 2011 Thai elections, the Interpreter chimed in with "The danger of a Thai civil war" where the elitist think-tank skipped past their client-proxy Thaksin Shinawatra, and laid the blame for Thailand's current political turmoil on the nation's revered monarchy. Citing Marshall's 3,000 unverified, unsubstantiated Wikileaks cables, who Marshall himself claims, is only "believed to have been downloaded by US soldier Bradley Manning in Iraq," the Interpreter suggests it is "journalism of the highest order." Adding insult to injury, for those who understand how this network operates, the Interpreter cites fellow corporate-serving globalist think-tank, the Council on Foreign Relations to bolster their claim. The Interpreter maintains a partnership of sorts with other globalist connected outlets like "The Diplomat" who echo the globalist consensus on any given issue and itself boasts partnerships with corporate-funded global think-tanks like the Soros-funded Foreign Policy Centre. There is a reason why the Interpreter, the Diplomat, and Andrew Walker's "New Mandala" blog are all on the same page along with other corporate-serving propaganda outfits like CNN, the Economist, the Wall Street Journal, and many others. It is because beneath the veneer of objectivity and academia, lies what is an obviously self-serving agenda propagated by a self-evident, omnipresent global despotic corporatocracy. 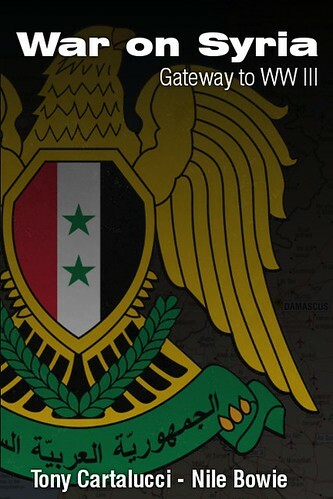 Upon the Council on Foreign Relation's seal is the word VBIQVE, latin for "everywhere," and manifests itself in the common English word, ubiquitous. Indeed as we see, regarding just the Lowy Institute alone, it contaminates an entire region's news, media, universities, literature, research, studies, and of course, through the papers and propaganda it produces with the clout it puts behind them, the region's politics and laws as well. The global corporatocracy is everywhere, affecting everything, perhaps so profoundly it escapes one's notice. However, upon seeing this network exposed, the people involved, their history of promoting an unaccountable, self-serving agenda at everyone's expense but their own, we can begin rendering moot the false legitimacy they foist upon society with their fancy logos, lofty titles, disingenuous liberal-esque spin, their insufferable arrogance, and entire institutions co-opted or even contrived to serve their own ends. We can begin by exposing these frauds for what they really are. We can boycott the corporations that fund and perpetuate these unsavory, dubious, and often well-hidden agendas. We can also begin to replace this nefarious network they've constructed by becoming self-sufficient on a local level. There is good reason why ANU imposter-academic Andrew Walker, along with the Wall Street Journal and the Economist are so adamantly against Thailand's attempt at implementing nation-wide localism - it is because it will set a viable example for all nations to follow out from under the squatting parasites that make up the global elite.